Etanorm SYT thermal oil/hot water pumps handle hot water as well as mineral and synthetic thermal oils. 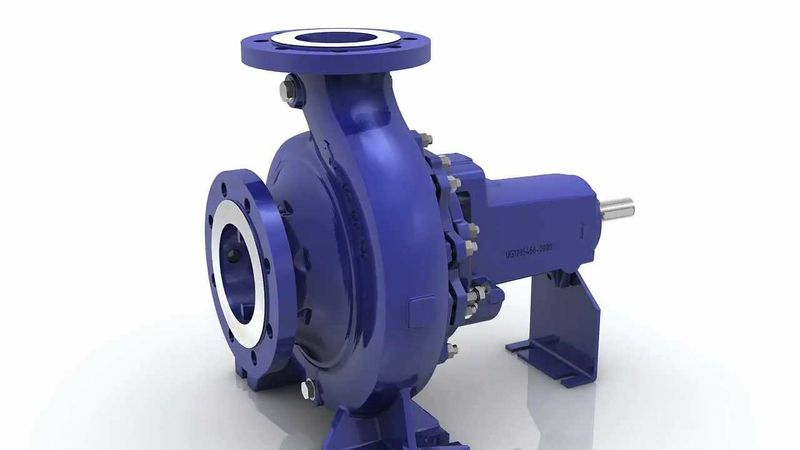 Reliability and energy efficiency make this pump a popular choice. KSB has further developed and technically optimised its thermal oil pumps. One of the outcomes: Etanorm SYT, an extremely reliable standardised pump to EN 733, which meets the toughest demands of handling synthetic thermal oils and keeps operating costs down. The Etanorm SYT pump maintains reliable operation regardless of the fluid’s high vapour pressure, large proportion of low-boiling fractions or tendency to creep. Highly effective venting contour ensures optimum venting. Reinforced discharge cover design and optimised heat barrier. This means less heat is transferred to the bearing bracket. Optimised shaft contour ensures reliable removal of leakage. Etanorm SYT is also available with double mechanical seal and SiC bearings to achieve an even higher operating reliability.